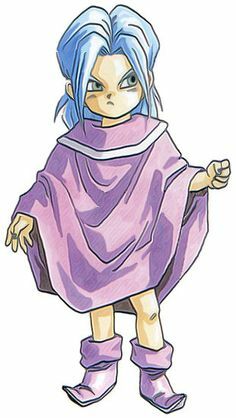 Maybe Amiti could turn into some sort of fiendish Magus like character, he looks like freaken Janus. Kind of think of Piers as Sesshomaru from Inuyasha, in whom has a similar thing going on since he's a demon. Here's a idea, how about scrap the story with Matthew's team and bring back Isaac's team, so we have Isaac, Garet, Ivan, and Mia as our first four Adepts, the return of the original 4, now you can't tell me that wont sell because its what Golden Sun fans want, these descendant characters aren't getting the job done. Now this makes the secondary team even more interesting and here's my thoughts on the secondary characters. Takaru: Himi's older brother, he's looking for Isaac, so this already works out, plus better than having Felix with same exact moves. Agatio: Let me just throw this out there, what if one of these guys actually did survive, I'm going by Walking Dead logic here, we didn't actually see Agatio die, we just saw him laying there refusing to die, and never mind that glitch that makes their sprites disappear may I add, also lets not forget what happens when lighthouses are light, as seen with Saturos and Menardi, Venus Lighthouse empowered them, the same could of been done with Agatio, it could of revived him and he managed to escape, however maybe Karst wasn't so lucky, I would like Agatio of the two because he for one offers a unique move set of Mars Psynergy, and his weapons could be fist, scythe, and sword. Piers: Now Piers fits in these characters, its been done in Lost Age, therefore it can be done again in Golden Sun 4, just bring back the Original four so we can see these characters. Just have Alex, that's all I want to see at this point if we're going to see losers like Blados and Chalis, maybe they can have Amiti turn bad and he can do like some sort of Bowser Jr thing, or if they have to have a pair, then have Amiti and Nowell. I really don't think Alex is the bad guy. If he was, it'd be going against one of the only points made by Golden Sun. There are no villains, just different perspectives. Not to mention all the evidence given in Dark Dawn that he isn't as bad as he seems. It was originally planned to have him be the Mercury Adept in Felix's party in TLA after all.